Montana is currently voting on a state cigarette tax rate hike to fund Medicaid expansion. 2018 rates range from Missouri's 17 cents to New York's and Connecticut's $4.35 per pack. 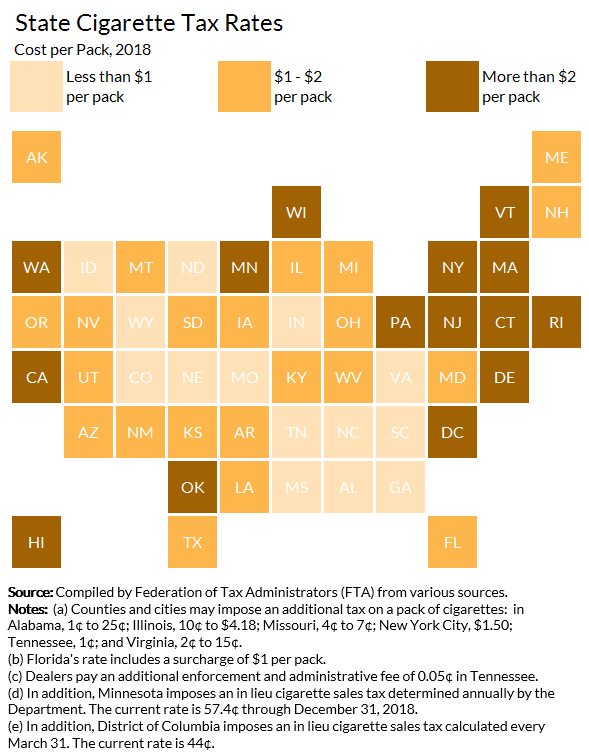 The rate is below $1 per pack in 14 states and above $2 per pack in 15 states.